Where Do I Learn Advanced HTML and CSS? After learning the basics, read below for multiple choices you can decide to take! I know you might be a practical person (because you are learning programming using HTML and CSS), so I will start by mentioning Google Searching. You can do most of your learning by searching on Google. But always remember that you have to learn, not blindly use! Or else you are wasting your valuable time of not learning the ‘why’ and ‘how’. If your course provides you only the basics of HTML and CSS, then you’ll have to find another course that’ll get you onto the advanced side of HTML and CSS. The ‘course’ you’re going to have to look for will be about HTML5 and CSS3, since these are the latest specifications being used by most browsers today. You will have to start creating side-projects of websites that are built properly using what you will have to search for. So, your work will involve going to Google a lot. Start out by following the HTML5 boilerplate. Make sure you follow this outline, as it is the HTML5 doctype. Take note of the <!DOCTYPE html>. You will want to simplify to this, and not what you see with the old doctypes. Udacity.com has really good courses on HTML and CSS. You might want to take the route for Front-End Web Developer, if it shows up on there. I’ve completed many of the lessons on HTML and CSS, so I can assure you that Udacity is great to learn. Lynda.com which is now owned by Linkedin.com has great courses too! I’ve had a membership on here for quite a while, so I also recommend this. But I Like to Read the Books. What Is the Best Book to Read? I have found the HTML and CSS book to be amazing! Again, it teaches you HTML5 and CSS3. And is a great way to boost your learning ability (thus making Google searching much easier). Of course, this is what most web developers do on a daily basis (and I can agree!). You will find that the StackOverflow.com search results are pretty handy. You will also find that Documentation on CSS3 will help. Save this for yourself below when developing/learning. It’s called Can I Use.com. You can type anything to check if browser compatibility is in check. Works great especially if you are unsure if SVG components are supported well on Internet Explorer. If you are learning… this is a must-have for you to understand the quirks of being a Web Developer today. Where Do I Learn Advanced HTML and CSS After Learning the Basics So That I Know Each and Every Bit of HTML and CSS? You have different options to choose from, to go Advanced. The best choice would be to go and build a 1–2 projects. And use a mix of caniuse.com, Google Searching, and reading how/why they are implemented. 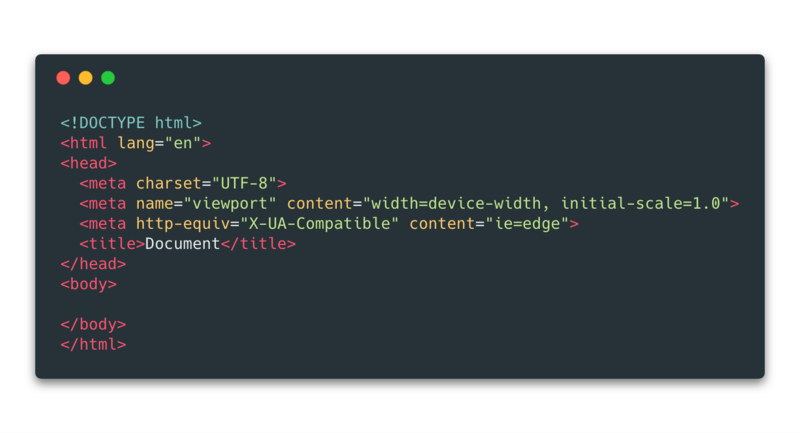 Why is <meta charset="UTF-8"> being used in HTML5? So you will search on Google why. And you realise it actually is necessary in every website! If you liked this article you might also like to know Why Is It A Bad Time to Be A Programmer? I found the article very useful in learning to become a programmer/developer. Yes they are high salary jobs with a lot of problem solving. But is it really worth being a programmer/developer today?